Looking for a romantic and unique setting for your special day? Celebrate your wedding on our beautiful twenty-six-acre eco campus. 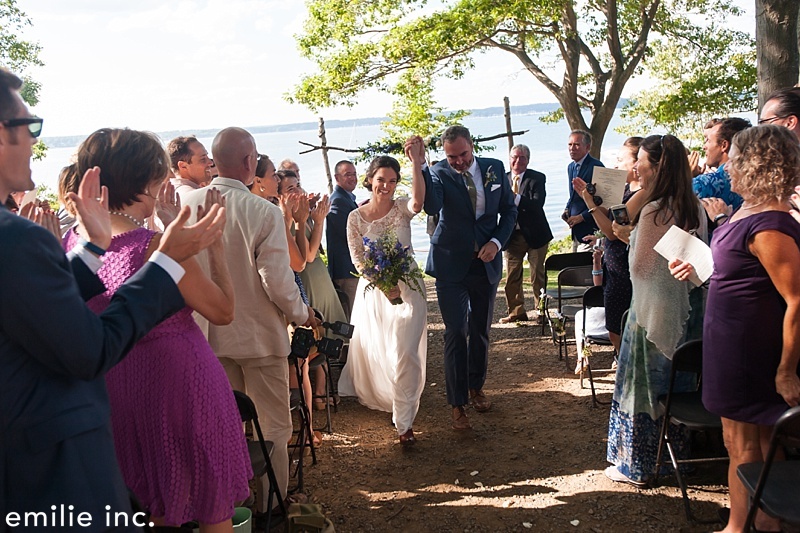 A boat ride from Portland’s historic waterfront brings you and your guests to your own exclusive Island in Maine’s scenic Casco Bay where your special day becomes a unique and memorable experience. Imagine exchanging your vows in our intimate Oak Grove overlooking the water. Not part of a venue but becomes more of your story. 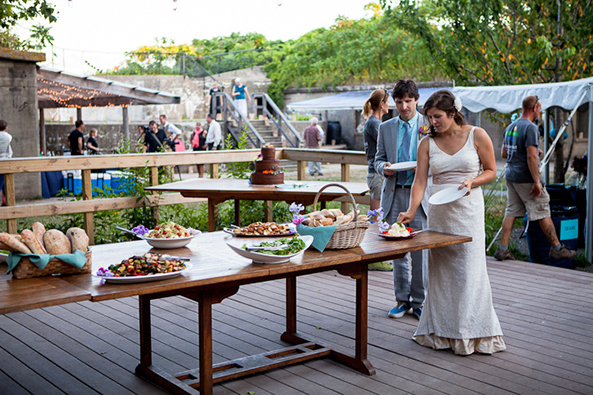 Cow Island has become a popular venue for the perfect destination wedding. We host no more than five weddings a year, allowing each to have full exclusive access to the Island. Those who get married on Cow Island join an intimate group of people that frequent their return. 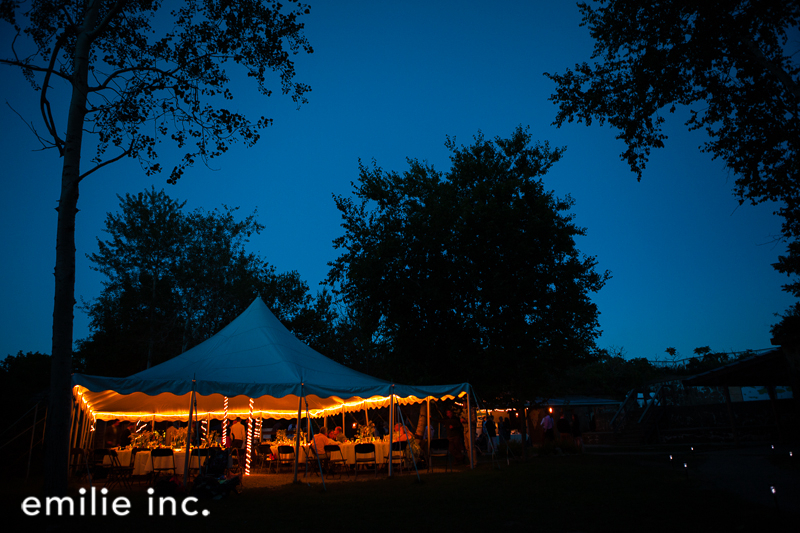 We will take care of wedding details from rentals to transportation to catering. 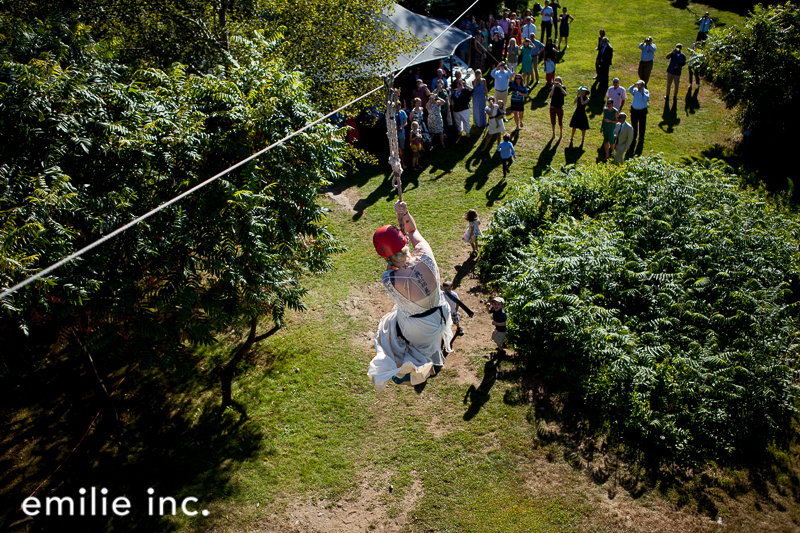 Wedding activities include sea kayaking, use of our 400′ zip line, and the option for overnight accommodations for your wedding guests. Our highly acclaimed executive chef will cater the reception based on your food desires. Choose a sumptuous lobster dinner or design your own unique menu in collaboration with our culinary staff. We are very proud of our food service. We use only the freshest and most local food we can find. We have a number of locations on the island that would provide the perfect spot for the wedding ceremony or the reception. The views around the island are spectacular. We have event tents set up throughout the island, enabling you to customize your wedding experience based on which area you most prefer. Cow Island is also the site of a 101-year-old fort called Fort Lyon. The original bunkers remain and are still used by Rippleffect. We have converted the island into a fully equipped eco-retreat and power the entire island with electricity generated from our solar panels and backup generator. We provide tours of the facility so you can see for yourself the allure of the island. Day of wedding coordinator services and operation support ie; transportation, bar, music, etc. *There is no extra cost for the accommodation, but there is a food service charge for breakfast the next morning or dinner the night before. We ask for a minimum of 20 guests for this food service option. We provide everything except for bar service*, flowers, table decorations, photographer, wedding cake and music/entertainment. *Rippleffect does not a hold a liquor license to serve alcohol on Cow Island. Wedding parties are responsible for contracting with an insured, licensed, and Rippleffect approved catering company for bar service. Please let us know how you found out about us and approximate number of guests. Congratulations on your engagement! Thank you for considering us to be apart of your special day. We will respond shortly in regards to your inquiry.